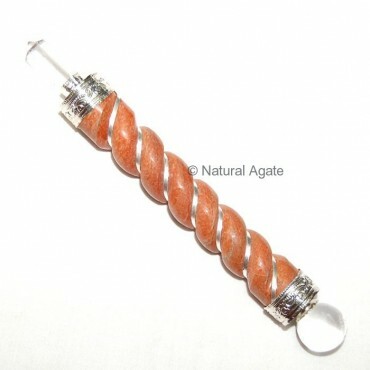 Peach aventurine Carved Wands with Metal is stunning and elegant. It has a soothing effect and keeps worries and fears away from the user. It transmutes negative energy into positive ones. You can avail this wand from Natural Agate at a fair price.